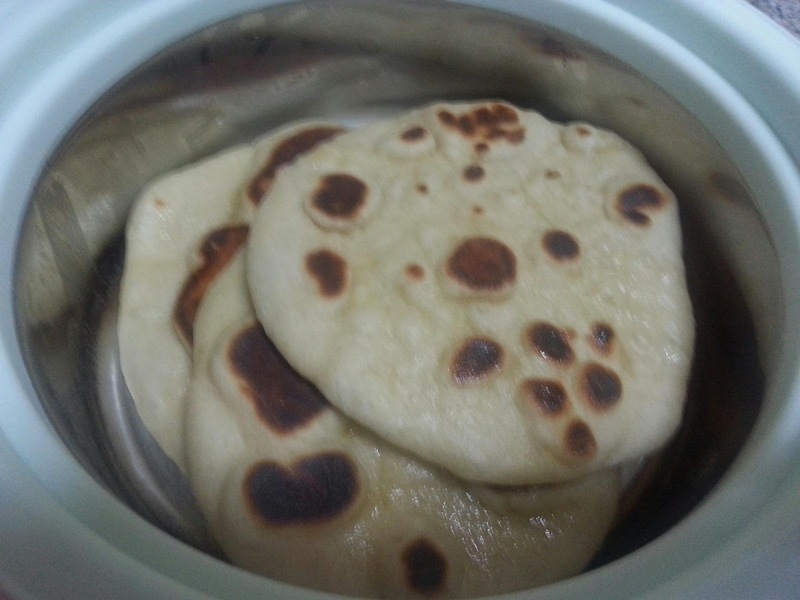 These naans are very soft and very tasty. The entire preparation process is quite simple. This is a keeper recipe. 8. 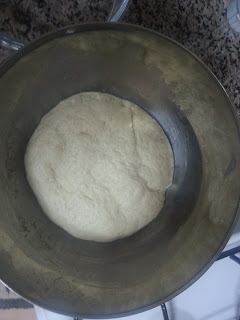 On a slightly floured surface start rolling the dough to form a disc. It can be as thick or as thin as per your choice. The naan will swell up a little during cooking so have that in mind. 9. Place the rolled out dough on a slightly floured surface till you finish rolling all the dough portions. Keep them covered to avoid drying. I normally make them one by one. I roll one and cook it and roll the second while the first is cooking. 10. Heat a tawa and reduce flame to medium or low heat. Place a naan on it, cover and cook for anything between 1-3 minutes. 11. Keep checking. If bubbles have started forming on the top surface and the bottom gets brown spots flip it to the other side, cover and cook again. 12. 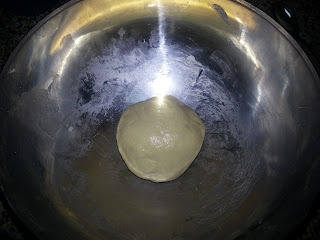 Once the naan is done on the other side as well, remove it and place it either in a hotpot or covered in a cloth to stay soft and warm till being served. 13. Apply some butter on top of the naan if you want butter naan. 14. Make the other naans in the same way. super soft looking nans...Love the clicks too!! Thanks Haffa. I sure will visit.